Very nice and useful ! However, I don't see Tourelle des Vieux Moines. If we want to add all this stuff, we really need to create generic models ! But Tourelle Richelieu is red with a green light (red light before 1975). Possibly some minor lighthouses and beacons are missing, but in general you can find there some navigation aids that are not easily found elsewhere, and with accurate position! Definitely yes and, little by little I will replace them with realistic models. The more models I will create, the bigger the pool of models that you can choose from for usage as "proxy copies" of the real things. 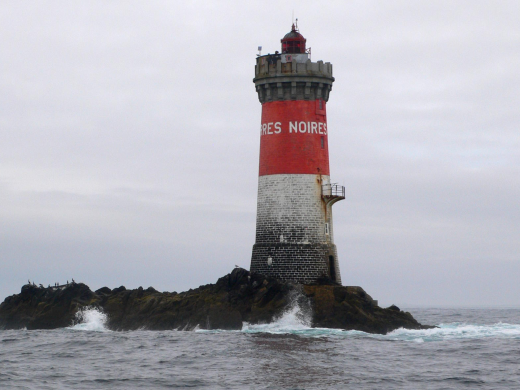 Something you could do for now, is grouping all the lighthouses that we are aware of by appearance and dimensions, so I can focus on creating at least a model for each group, giving an higher priority to the most numerous groups. You are right. In other words, you are suggesting that we paint the La Plate tower red? What are you testing Anvar? Where? Show me the most current version. Definitely yes and, little by little I will replace them with realistic models. The more models I will create, the bigger the pool of models that you can choose from for usage as "proxy copies" of the real things. Something you could do for now, is grouping all the lighthouses that we are aware of by appearance and dimensions, so I can focus on creating at least a model for each group, giving an higher priority to the most numerous groups. Yes, I was planning to do that. Amazing ! I love it. So, about (temporary) generic lighthouses, I've made a sorting by shape of the section (square, circle, octagon), size and general shape. Ar-Men : 33,5 m ? Cayeux (***) : 27 m ? Kéréon : 44 m ? Nividic : 35,55 m ? Last edited by Kendras; 09-05-2017 at 03:53 AM. Well, the one con that I can think of about La Plate possibly having been red, is that the two tourelles (La Plate, and Le Chat) are quite close to each other and, as you might remember, I have shown you a picture that might demonstrate Le Chat being painted solid red before having been given the current paint scheme. Well done on the lighthouse grouping. Thank you, that was a good exercice. Now, we have to find an average shape for each group. Last edited by Kendras; 09-02-2017 at 04:06 PM. Enable them in that order. Last edited by Anvar1061; 09-04-2017 at 04:57 AM. This you had to fix Tourelle de la Plate alpha v12 and in the Roster folder, and I did not have to rack my brains. Sorry, no definitive nor official mod has been released yet, we are still working on it. So use at your own risks ! 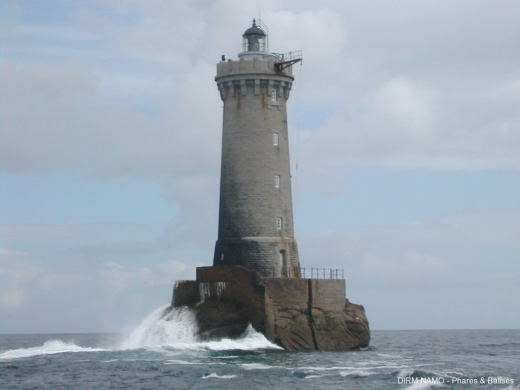 For generic lighthouses, I think they should be very simple 3D models, and we should be able to rescale them easily (different separated parts, easy scaling on Y axis to change only the height). The texture applied to them should be easily tweaked in order to have different textures for the same model, depending on the lighthouse). For example, Le Four and Les Pierres Noires are very similar, but the texture must be different.